The Carroll Center for the Blind has been providing rehabilitation and support services for people who are blind and visually impaired since 1936 when it opened as the country’s first rehabilitation center for newly blinded adults. Since that time, The Carroll Center has expanded to serve people of ALL ages and ALL stages of vision loss. Our organization provides vision rehabilitation services, vocational and transition programs, assistive technology training, educational support, and recreation opportunities for persons with limited vision to gain independence in their homes, in class settings and in their work places. Our highly skilled professional staff, combined with new and evolving technologies and time-tested adaptive methods have enabled thousands of persons to live successfully with vision loss. A middle-aged man learns braille at The Carroll Center for the Blind. Tuukka Rask of the Boston Bruins visits the wood shop, where he learns about the rehabilitation process from Bill Reynolds, Manual Arts instructor. Fishing club is just one component of our summer youth program. 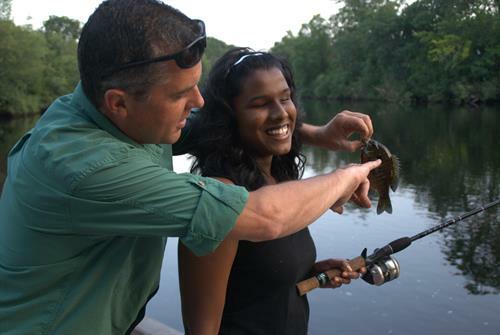 A volunteer shows a smiling young woman the fish she just caught. 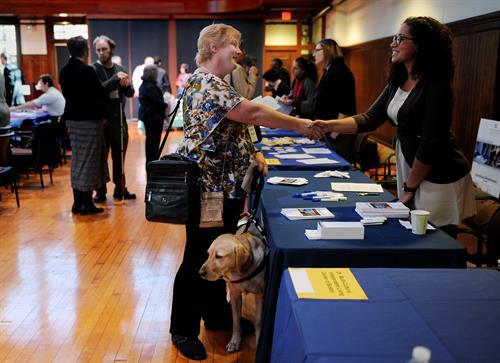 A visually impaired job seeker shakes the hand of the potential employer at our annual Job Fair for Individuals with Visual Impairments. 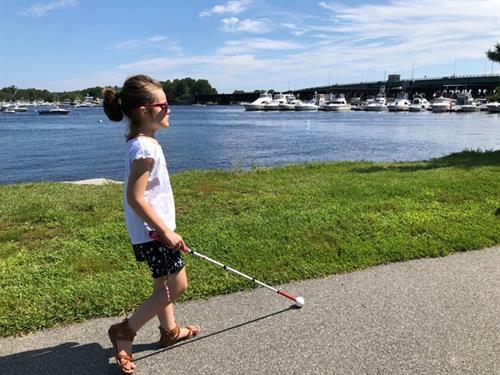 This young girl holding her white cane walks along the Charles River after receiving orientation and mobility training. Vocationally, technology training is crucial with vision loss. Here, a woman on a computer uses screen magnifying software at her place of work. 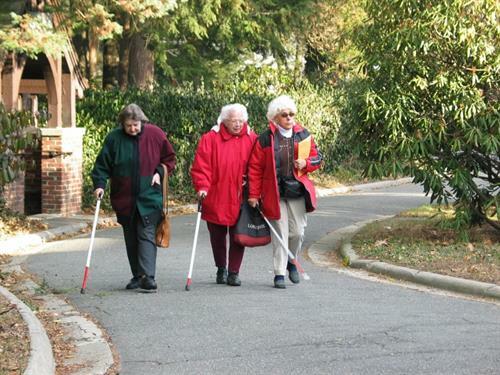 Seniors walk up the Carroll Center driveway after purchasing high visibility canes at the Carroll Center Low Vision Store. 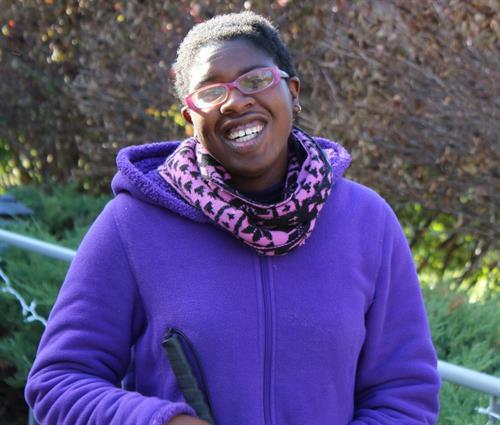 On her pathway to independence, a young program participant takes a break from her orientation and mobility lesson to pose for the camera. Assistive technology can help blind and visually individuals of all ages and stages. Here, a teacher of the visually impaired coaches a young boy in how to use his phone to assist in schoolwork.